You can save in Greenthumb Gardens, at least in the 3DS version. There's an adventure log on the table in the inn. Now you tell me! Of course, now was when I told you but still! I'm currently working on the animal area, I made the mistake of not resting at the inn and forgetting to save when I headed out to the dungeon on that island, ofcourse Maribel fought "wisely" and burnt through all her mana before I stated to pay attension so I couldn't evac. The I learned that my Zoom spell or the Chimera wing does not work on the island. So I managed to fight my way out of the dungeon using what was left of my medical herbs in the bag. Mildly stressful since I haven't saved in what felt hours. I'm looking forward to more party customization as the combat is starting to get a bit stale. I've run into a hiccup where one of the Maribel's spells crashes the game on PSP (a known issue apparently). So no more AI for me. Combat has always been one of the weak points of the DQ games for me. What does "Style" stat actually do? If I recall correctly, it doesn't have any use in battle. But, later in the game, there is a contest that you can enter -- I forget what it's called -- and Style is one of the categories. This kind of "best dressed" contest exists in a few of the Dragon Quest games. Usually there are multiple levels with different prizes for each. In some of them, completing a certain level is necessary to advance the plot. Completing the highest levels, which typically requires matching some very stylish equipment sets, is necessary to win at the highest levels. It might be worth keeping one of each equipable item (bag seems limitless so far). A style tip later on is that equipping the same type of item for each body part (e.g. all silver) gets high style points. I ran into a shop keeper also that requires a certain style level before they'll serve you. Do you remember if that shopkeeper requires a high style score, or a high rank in the style competition? I think it’s the latter, but I don’t recall. It's the latter. As long as you can get on the board you're good. Well, I dived back into this during my commute yesterday. After refreshing my memory with some emails with a friend back in 2017, I was thinking "this game is incredibly easy." Fought some random encounters, and noticed that my party is now mostly capable of winning a random encounter in one turn -- and sometimes in one move -- without using magic and, often, without taking damage (thanks, Thin Air). Then I ran into a brick wall. Spoilers for details on the boss fight; I just wrapped up Hubble. This tough boss fight was against The Envoy. I fought him four or five times, losing each time, before looking up some strategies online. It seemed like nothing I did could stop him. The Envoy sometimes takes two turns, and has a brutal combination of spells: Kaswoosh, which hits everyone for huge damage (50-80); Kasnooze, which seems to have a high chance of success against my guys; Kafizzle, which also seems to succeed a lot; and occasionally a physical attack. I think he used Frizzle, too. Anyway, this fight got rough as soon as he put most of my party to sleep, and/or locked down their spellcasting. I then couldn't recover, and was easy pray for Kaswoosh, as magic damage doesn't wake up sleeping characters. This fight also exploited some deficiencies in my party composition. Kafizzle doesn't prevent the use of abilities, for instance. But only Maribel had an ability that could heal without using MP (Soothing Song, I think) and it only healed for 20. Likewise, only Maribel had an ability that could wake up the whole party. Once she was asleep, game over, man. The solution came from an unlikely source: the Bounce spell, which reflects magic. Now, I want to stress that I have played almost every game in the Dragon Quest series, some more than once. I'm sure I've cast Bounce once or twice to see what it does, but beyond that I do not recall a single time when I've ever used Bounce, in any game. Partly, this is because Bounce only works on one person at a time, but really I don't like that it also reflects healing and buffing magic. Bounce seems a bad bargain in DQ compared to Reflect in Final Fantasy: Fullheal is often easy to get and cheap to use, and few bosses have attacks that are impossible to survive. Now, I didn't have Bounce. I think Maribel may have mastered the Sage job, which probably granted the spell, but I was working on a new job. I did, however, have the Rippled Rapier from Gracos, which casts Bounce when used as an item. So I went into the fight, had Ruff use the Rapier on Ser Mervyn ... and won without any difficulty. I think the shield on Ser Mervyn may have altered the enemy's battle routine, as it did not cast Kaswoosh at all. I had some pretty immediate reactions to the game, but I'm going to sit with them for a bit before posting. Most of my initial reactions are negative, but I don't hate the game. I love the Dragon Quest series, and I respect some of the interesting ways that this game decides to tell its story. 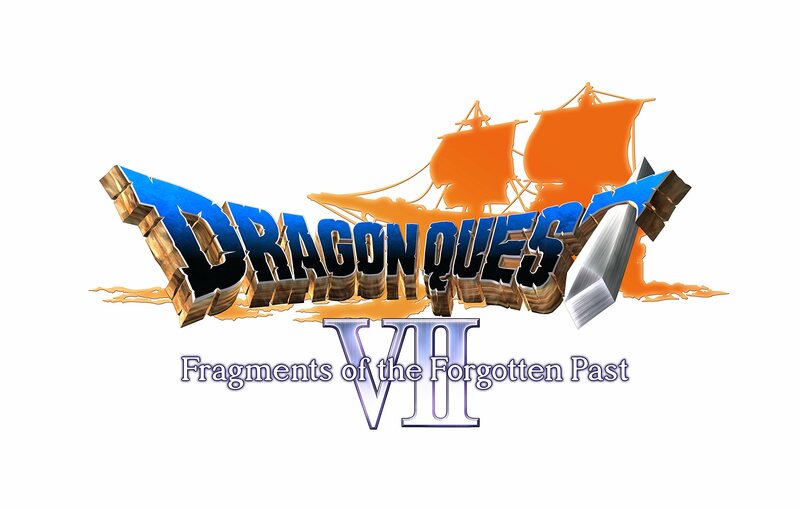 But, some of those design decisions, along with a few other factors (and Maribel), make this my second-least favorite Dragon Quest game. At the same time, I don't want to ruin the fun here, and I also want to make sure that any critique I offer is fair to the game. I am curious what the community here thinks about Maribel. I'm really, really strongly dislike her; she's one of my least favorite RPG party members ever. I wonder if that's just me, though, as I haven't heard anyone else talk much about her. I'm not very far into the game (I'm almost done with the Faraday/Frobisher section), but so far I am fairly indifferent toward Maribel. I don't hate her, I don't like her. She can whip a group of monsters each turn, and use magic during boss fights. That's pretty much it so far. I'm hoping she gets more development later on. I just got crushed by a boss, a bit disheartening. I've died 3x so far on this island, and 3x so far in the game, so there you go :p.
Currently on Hamelia and got spanked by Gracos. I'll probably try one more time but after that I might look up some tips. Oh yeah, Gracos was one of the harder ones, for sure. I'm not looking forward the difficulty spikes, with how infrequent saving is in this, dying might put a real damper on this game. I've been trying to fight as much as possible (without dying of boredom) to avoid that. If it helps (assuming you're playing on 3DS and not the original PS), the game does not ever delete your quick save file when you load from it, so you can also use it as a hard save. It is kind of a pain that the game makes you quit when you quick save, but it doesn't take long to re-enter the game. Good tip! I'll be sure to use that when I feel a boss battle incoming. Would be nice if the PS1 emulator (on PSP) allowed you to save states! Beat Gracos. Added a level to my party but it ended up being mainly luck, well bad luck the first time round. You have a temporary 4th party member who is controlled by AI. Gracos has 3 different types of group attack and can attack twice a round, doing 40-80 damage to each party member. Fortunately, your AI party member has access to a resurrect skill. Unfortunately it's success isn't guaranteed. So, my first try, the res skill failed 4x out of 4 attempts. My second try, it succeeded 1x from 1 attempt and I used a herb for the other time I needed a resurrection. Pretty annoying because clearly the battle is balanced for you to have a few deaths and, since your healing doesn't keep up with the amount of damage, you're screwed if the AI doesn't do their job. Well, after a little more commuting time (and given my large lead), I have all the green fragments and a new party member! Goodbye forever, Maribel! I've been stuck with only 3 members for way too long it seems. Yeah, I remember that too. I think you are able to get a fourth member after you defeat Gracos in the past. If you want a hint about where to go, and don't want to look up a FAQ, let me know (I'll be checking a FAQ to make sure I give you good info, but can try to avoid spoilers when relaying what I learn). I'm not looking forward the difficulty spikes, with how infrequent saving is in this, dying might put a real damper on this game. For what it's worth, death isn't that big of a deal. If you die, you can either load your last save, or you can "continue" which will resurrect your MC at the nearest town. You lose half the gold you have on you, but you keep all levels, skills, items, and other progress. It's not like some other games where you die and lose everything you've done since your last save point. And if you keep your gold in a bank, all that gold stays safe when you die. The fourth party member is actually in the present. I think you got an item, obtainable after you beat Gracos in the past, that allows you to unlock a new mode of transportation in the present. Check out the southeastern part of the world. Once you get your new vessel, you'll be able to reach some other parts of present day islands, and you'll want to look for the richest guy in the world. Searching him out will start you on a side quest to find that 4th party member. Does that help? Let me know if you need some more hints. Actually I already had the magic carpet from a few islands ago but I never understood why it didn't work. I figured it would become apparent at some point. Anyway, thanks to your directions I was able to go back to the guy who gave me the magic carpet and get it all sorted out. I guess if you don’t turn back after getting the faulty carpet, and try to talk with everyone again, you won’t learn that you need another item to get the real one. Yet another “talk to this person” gate. I just finished the lengthy sequence in Alltrades Abbey. What a miserable slog, and the Rashers/Stripes battle was nearly insurmountable for me. The rest of the storyline wasn't too difficult, but that fight... woof.